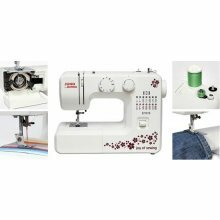 Janome E1015 is a multifunctional sewing machine with 15 stitch programs and 4-step buttonhole. 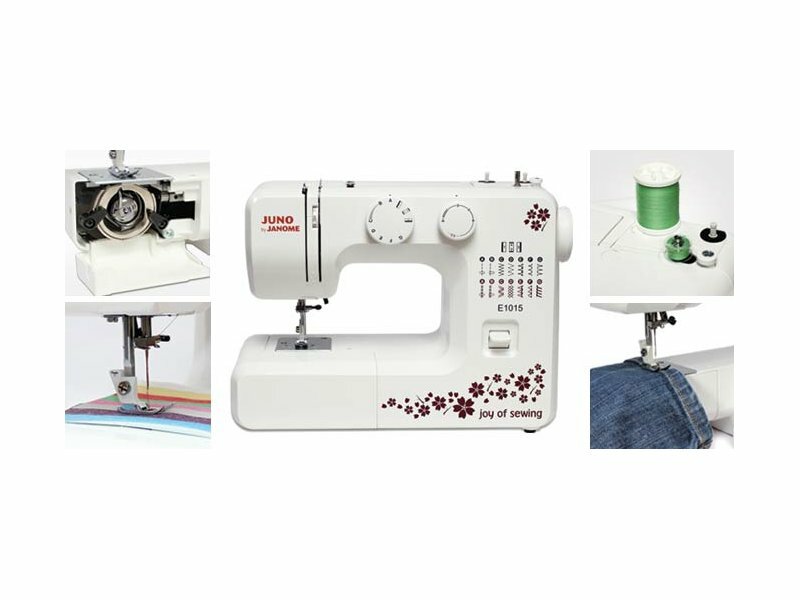 Functional and easy to operate, perfect for those who begin adventure with sewing. Ideal for scrapbooking - technique that allows to decorate photos, postcards, calendars etc.